The National Initiative for Consumer Horticulture (NICH)’s third annual conference will take place June 27-29 in Atlanta. 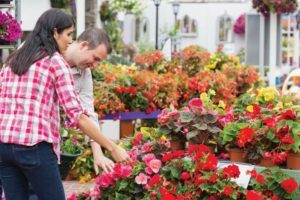 Everyone in every aspect of consumer horticulture — from university researchers and Extension agents, breeders, growers, and garden center retailers to landscape design, maintenance, tree care, and interiorscape professionals — is invited to attend and help create a unified strategic plan around industry-wide priorities. At the NICH annual meeting, attendees will help shape the national agenda and create a strategic plan to get 90% of the U.S. gardening by 2025. A kick-off reception will be held Wednesday night at the Atlanta Botanical Garden. On Thursday and Friday morning, a professional facilitator will lead the group through several listening sessions and strategic planning exercises to explore the goals for the organization and craft the strategic plan. Travel grants are available for the meeting. For more information, go to Consumerhort.org/conference. Thanks for sharing. I hope you will come, Brian!